What's the deal with first essences/serums? If you're a skincare junkie, you've probably well aware of the much raved about SK-II First Treatment Essence, and K-beauty fans, you probably also know about its supposed dupe, the Missha Time Revolution The First Treatment Essence. These products, just like the one featured today, are supposed to be used as the first step after cleansing, before you apply anything else. A lot of times, they're meant to hydrate, brighten, soften, and improve the elasticity of your skin. In addition, many of them claim to have anti-aging properties. For $16, the deal was too good to pass up. Right?? 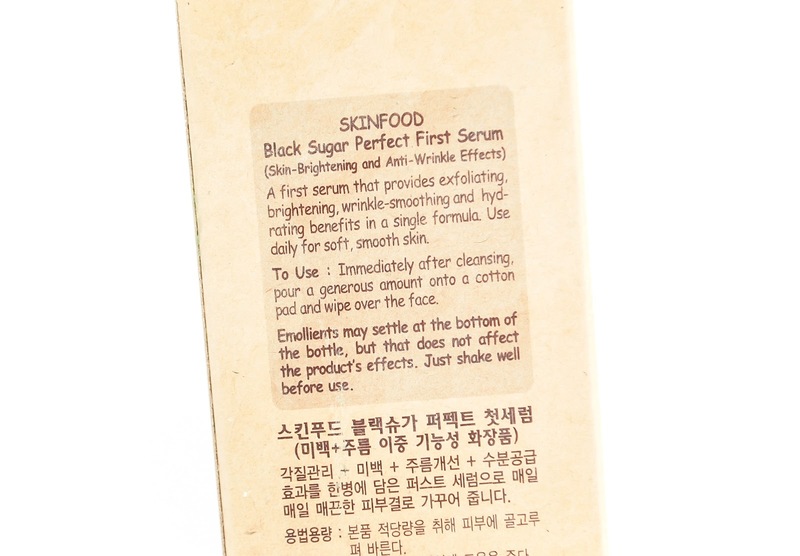 If you're curious as to how this serum fared, and if it finally changed my mind about first essences, then keep reading! 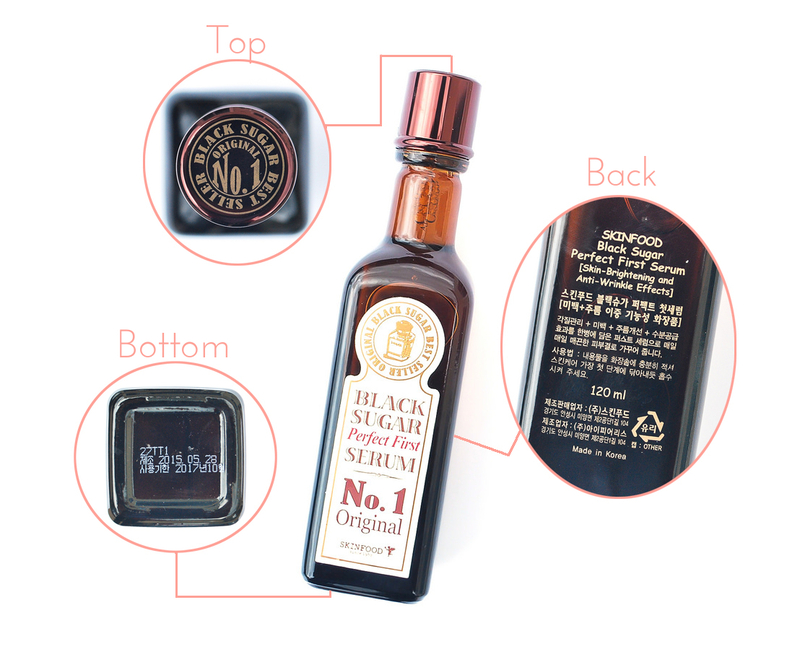 Description: Achieve a smoother, clearer complexion with a combination of moisture rich black sugar and Cheongju, a traditional Korean wine. 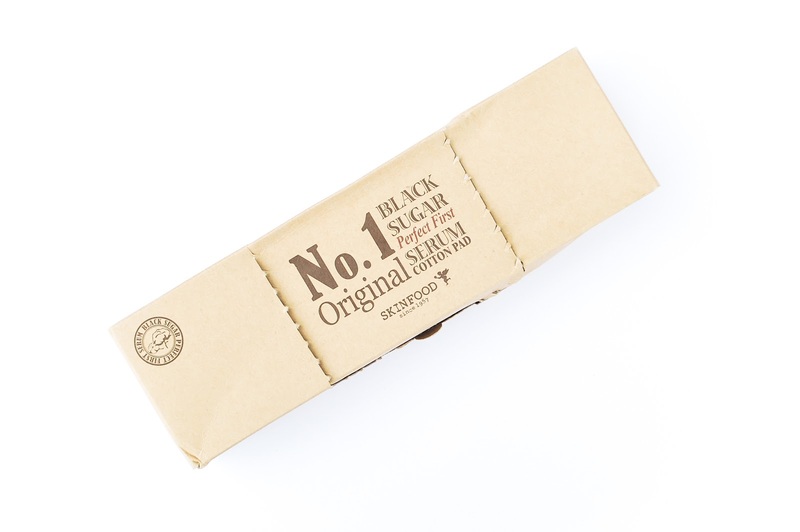 Black Sugar Extract- Of course I have to mention the main ingredient of this serum, which is black sugar. 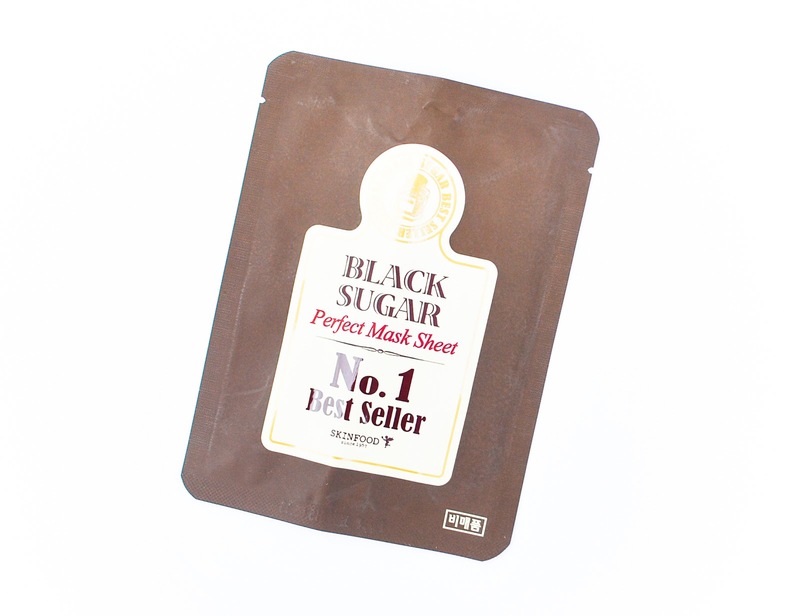 If any of you are familiar with Skinfood's bestselling Black Sugar Mask Wash Off, then you probably know that black sugar is good for exfoliating your skin and getting rid of those dull and dead skin cells to reveal brighter, softer skin. Niacinamide- I was happy to see this ingredient in the list since it's well-known for its brightening functions! Niacinamide is useful for getting rid of those annoying scars and evening out your skin tone, as well as giving your skin that healthy glow. 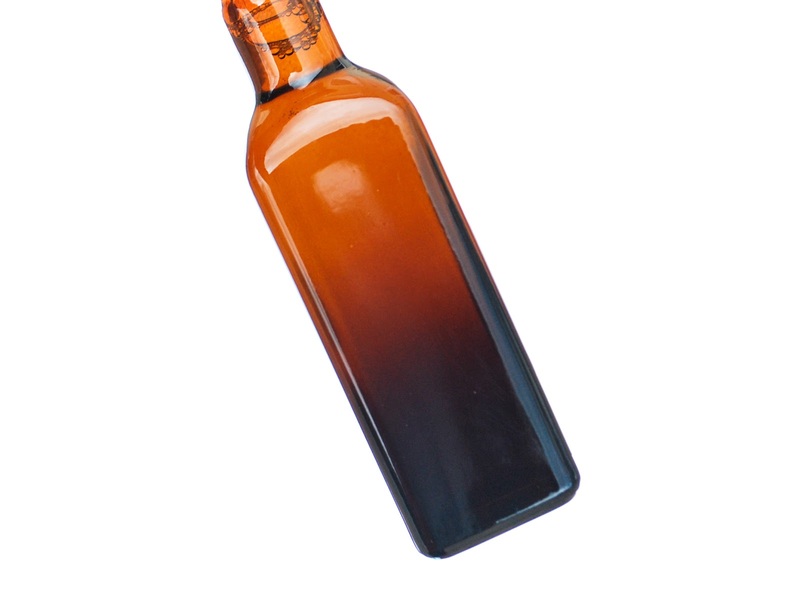 Papaya Fruit Extract- Papaya contains an enzyme called papain that is useful for fading scars and sun damage. This makes papaya fruit extract a great exfoliator, since it is able to gently remove dead skin cells. Salicylic Acid- I was a little surprised to see this ingredient in the list, but since it's so far down I doubt there is a significant amount to have any noticeable effect on your skin. Salicylic acid is commonly used in anti-acne products since it can be used to treat blemishes and prevent any pimples, and is also an excellent exfoliant. I personally haven't really found topical salicylic acid to be effective at treating acne, other than one salicylic acid foam cleanser by Cosrx. I normally break out from using salicylic acid products because of my reactive skin, but luckily this product didn't break me out. According to CosDNA, this product contains 1 low potential acne trigger, and several ingredients that scored a yellow flag in terms of safety. There is one ingredient (salicylic acid) that scored a red flag in terms of safety as well. 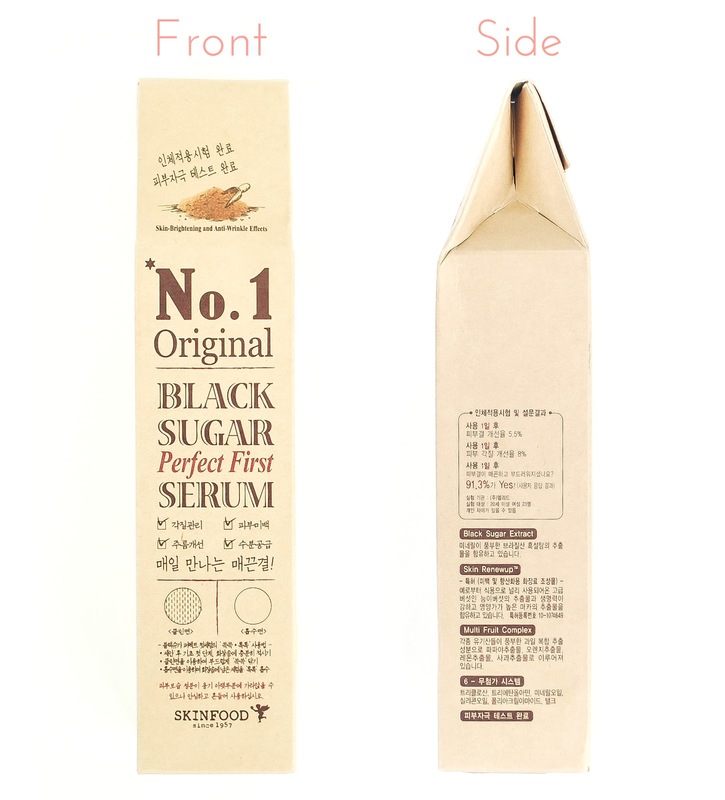 The bottle comes packaged in carton-shaped cardboard box. There's something old-fashioned about the design on the box, but it fits very well with the apothecary-like theme of this product. 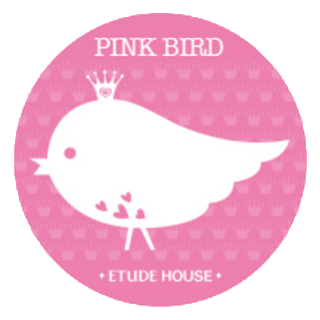 The product also comes with a box of 70 special cotton pads! 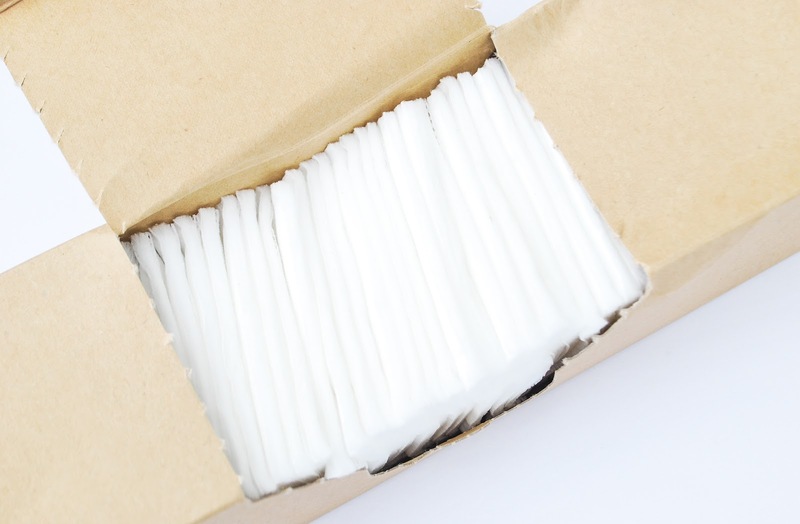 Even though they don't look that different from regular cotton pads, there is something different about them. 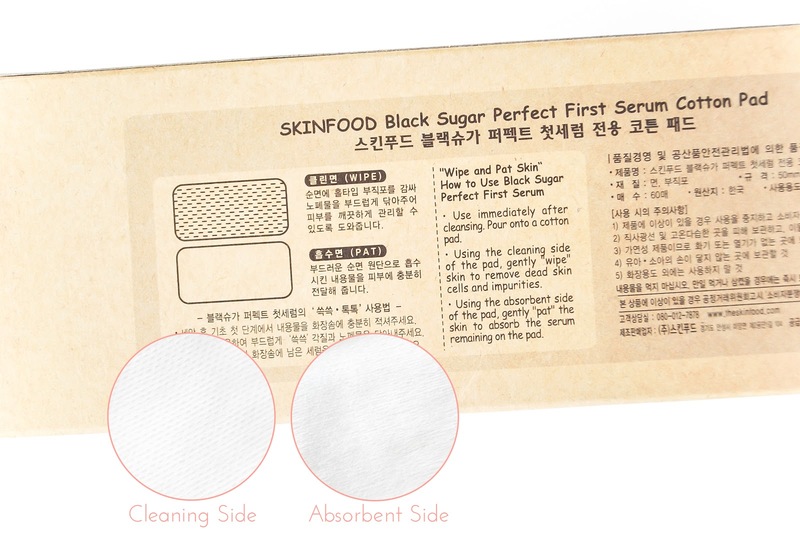 There are two sides to these cotton pads- a cleaning side and an absorbent side. The absorbent side is just smooth and not any different from regular cotton pads, but the cleaning side is textured, which helps gently exfoliate your skin as you're applying the serum. I think people with extremely sensitive skin might find the textured side a bit too rough, but it was alright for me. I actually quite liked how it felt on my skin! 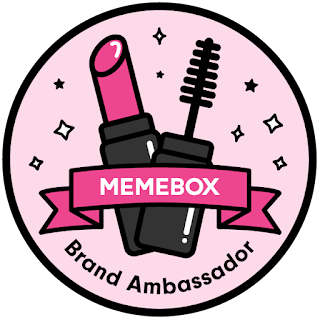 Moving on to the product itself! The serum is housed in a thick glass bottle that reminds me of something you'd see in an apothecary shop, or a bottle of whiskey. My friend, when she first saw this product, actually thought that it was alcohol! To which she gave me this look until I clarified that it's only a skincare product, but I can definitely see the resemblance. Update: I showed another friend a picture of the bottle, and she told me that it looks like A.1. Steak Sauce. I don't know how I missed that, but I can see why, haha. The picture above might not show it, but the bottle color is this beautiful ombre that goes from dark caramel to dark brown. Since it is made of glass, I probably wouldn't recommend taking this with you for travel. However it is rather sturdy, so it can definitely take a short fall onto your floor. I may or may not speak from experience. The one thing I don't quite like about the bottle is that the opening is a bit larger than I would've liked, so when you shake it the product tends to get all over the inside of the cap. And then, possibly due to the black sugar extract, the serum inside the cap and around the edges of the opening jellifies. You can just remove it, but it's a little bit annoying to see happen. The scent is amazing! 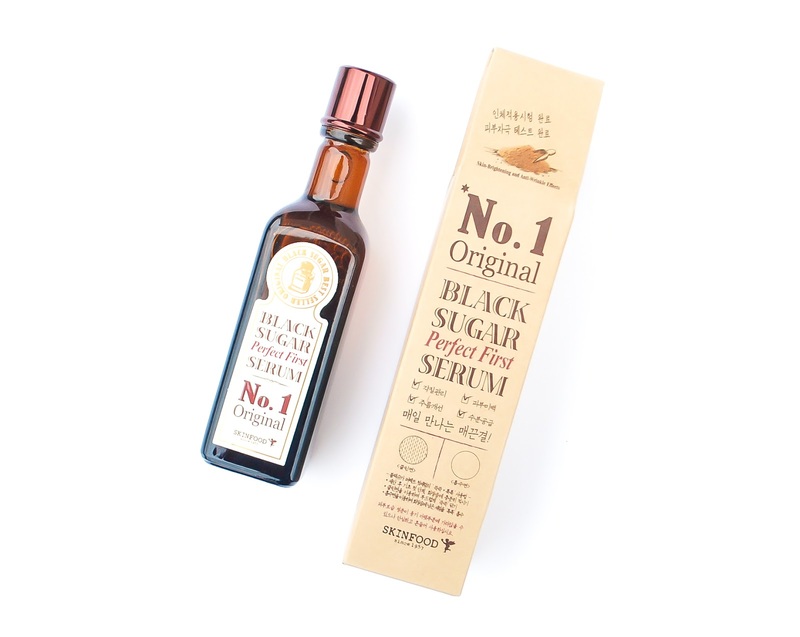 Seriously, if you're a fan of sweet scents then you would love the smell of this serum. It smells like sugar but also with a hint of alcohol, which might sound kind of strange, but trust me, it smells good. I wonder if the caramel ingredient could've possibly added to the scent too. 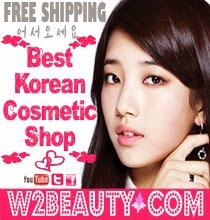 Although the scent is noticeable, it's not heavy nor lasting, and fades away upon application. Honestly, if they made a candle that smells like this, I'd buy it. 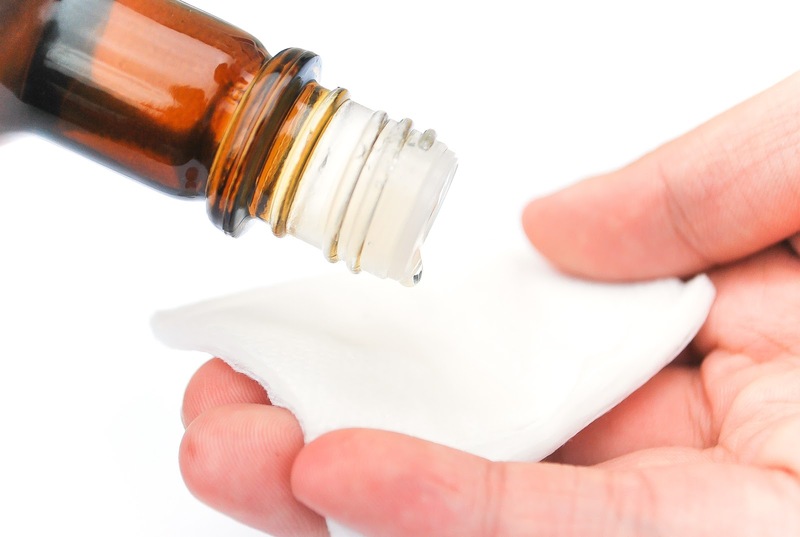 To apply, I just shake a few drops onto the textured side of the cotton pad and wipe it on my skin. I then flip it over to the smooth side to pad the serum in. The serum has a very faint, barely noticeable golden tinge to it due to the caramel added in the formula. I personally don't like pouring the serum into my hands and patting it in just because I feel like it's too much for my combination skin and takes longer to absorb, as it is quite moisturizing. Also, I actually do like using the textured side of the cotton pad, since it does feel like it's slightly exfoliating. When it comes to viscosity, I'd say that it's slightly thicker than water. It's also more slippery, and has a sticky finish that disappears once you apply your next skincare product. I'm not a big fan of the sticky finish, but luckily it doesn't last. I would say that it absorbs moderately fast. If you apply this with your hands, it's very easy to spread as well. Since it is quite moisturizing, a little goes a long way. I've used this for over a month now and I've only gone through about a quarter of the bottle, even with the use of a cotton pad. If you do choose to apply this with your hands, it'll probably last even longer. So how did this perform? Meh. Don't get me wrong, it's not a bad product by any means, but it's nothing special either, at least for me. While I do think it did exfoliate my skin a little and made it soft and smooth, I didn't notice any significant changes on my skin in terms of dry patches, acne scars, and pores. My skin did look a bit brighter, but just barely. No wow factor at all. I can't say anything about its anti-aging claims, since I'm only 17, but so many products claim to be anti-aging that I usually dismiss them. I would not recommend this for oily skin unless you're using this at night, and only during the winter. Now that the weather is getting warmer, I find it to be a little bit too moisturizing during the day for my combination, so in order to use this I have to cut down on my skincare routine so that way my skin wouldn't get oily too quickly during the day. However, it worked really well during the winter at just giving my skin that extra boost of moisture I needed to keep it from feeling dehydrated! I think people with dry skin would really appreciate the extra boost of moisture this provides as well. Sadly, in the end, this performed just like a very hydrating toner, think Hado Labo Gokujyun Hyaluronic Acid Lotion but even more moisturizing. If you're looking for a product that will provide your skin some additional moisture, then I would recommend giving this a try. Or you could even use this as a replacement for your toner, which is what I'm doing right now. Other than that though, I just don't see anything special about it that makes me want to repurchase it. My opinion on first essences remains the same (sadly). However, I know that Skinfood reformulated this serum awhile back and created a "Light" version as well, so my version, the original one, may differ quite a bit from the reformulated ones! Who knows, haha. Has anyone tried the two versions before? Let me know if you have and if there are any noticeable differences! Have you tried first essences before? 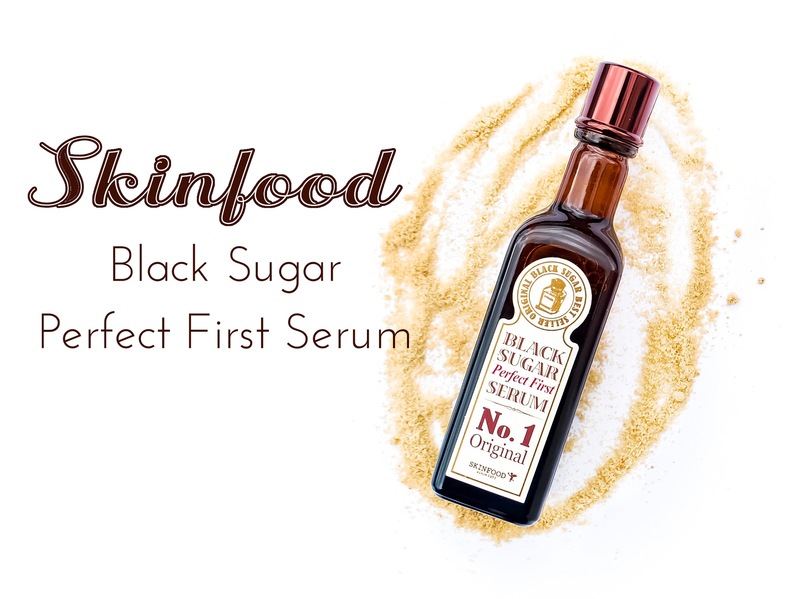 Would you like to give this serum a try? Let me know in the comments below!